What can countries being torn apart by violent conflict learn from the peace and political settlement in Northern Ireland? The proliferation of organised violent conflict is one of the most important challenges for the contemporary world. From the Middle East, central and east Africa to the Balkans, Caucasus, Central Asia and Northern Ireland violence and warfare have had devastating effects on social life. Since the end of the Second World War millions of individuals have lost their lives, entire towns and villages have been destroyed and many parts of the world still live with the tragic consequences of violent conflicts. The settlement in Northern Ireland offers valuable lessons for peace-making and inclusive politics in divided societies. 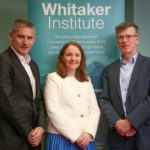 Experts in conflict resolution, human rights and international security at the Whitaker Institute use their experience from this and other conflicts around the world, in their own research and to counsel societies in conflict and post-conflict situations. 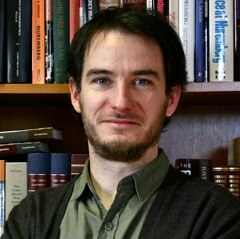 Members of the Conflict, Humanitarianism and Security cluster also edit the peer-reviewed Journal of Political Power, published by Taylor and Francis. If you would like to research conflict, rights and security problems, or if your government or NGO would appreciate some insights that could help in resolving them, contact the cluster leaders Dr Niall Ó Dochartaigh and Dr Shane Darcy. The cluster brings experts from politics, sociology, geography, psychology and human rights together to develop new insights on the causes of conflict and measures that can help to end conflict. With exceptional access to government actors and state materials, this cluster has a high global impact in terms of informing public policy around conflict resolution, rights and security. One such project is a series of papers based on the private diaries and notes kept by Brendan Duddy, whose house was the venue for meetings between the Irish and British in 1975. At a time of back-channel negotiations in Afghanistan, Iraq and the Middle East, his account of the dynamics of conflict and secret peace-making provides a unique insight that cannot be found in the official records. A ‘Witness Seminar’ to collect peoples’ experiences of the Troubles in Northern Ireland. Collaboration with local and international organisations in the Occupied Palestinian Territories, Libya and the Balkans. The role of international criminal justice and accountability mechanisms in conflict and post-conflict societies. The role of the International Criminal Court in furthering peace and security in transitional societies. Rethinking development in post-conflict Bosnia-Herzegovina, in conjunction with the UN, EU and NGOs.